AudioGames.net is the world’s #1 community portal for audio games: games based on sound. Creative Heroes: Sander Huiberts, Richard van Tol, Dark Empathy, CX2, Aprone, Lukas, Nocturnus and Arqmeister. Many games present challenge and excitement presented using dices, cards, boards, balls, a computer monitor, etc! Why not expand this range with presenting a challenge in sound? We have been active in the field of audio games, games that consist of sound only, since 1999. 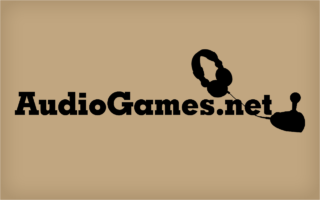 In 2001 we started Audiogames.net, a website to promote audio games and support and inform the audio game community. By providing a clear view on the audio game genre we also wish contribute to the evergrowing game industry, that is only just now beginning to recognize some of the potentials of audio gaming. AudioGames.net is now mostly run by members of the international blind gamers community. Click here to visit AudioGames.net.